Although not the cheapest fall craft I did this year, I love how this turned out. 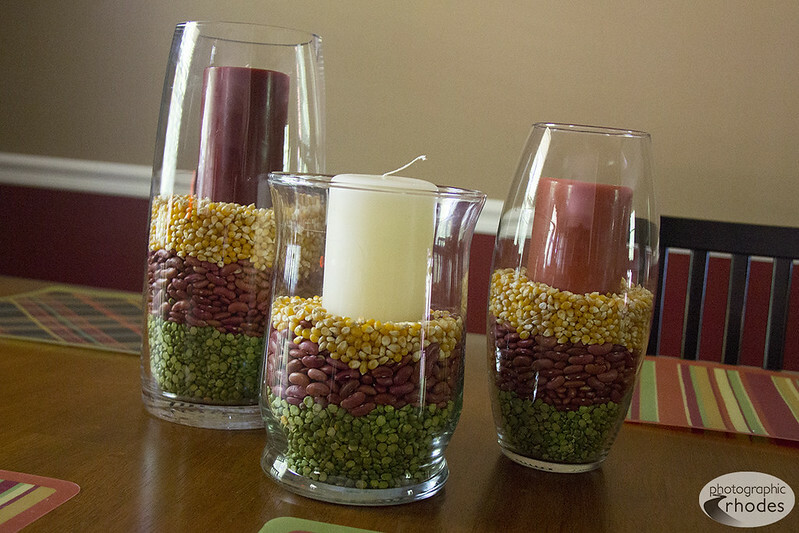 Next time though, I’d make sure all 3 hurricane vases were narrow enough that the cats couldn’t paw out the corn kernels! I would have loved to add twine ribbon & a burlap table runner, but I know my cats too well to think I could get away with that. Das Foto an sich gefällt mir… Aber ein wenig Kritik möchte ich üben: Es ist schief – nicht richtig ausgerichtet. Lieg stets im Auge des Betrachters/der Betrachterin… – aber mir hätte es gerade ausgerichtet besser gefallen ;-).